Hyderabad, Andhra Pradesh – Marvist WebSolutions, a pioneer in the field of Internet marketing consulting and services launches a new website. The website is larger and presents the services offered in detail and also showcases the testimonials from the 600 clients that marvist has helped with its services. The new website, at Marvist.co.in is easy to navigate and designed to facilitate users get information easily. The new site design is better in navigation, accessibility and appearance. “The site is designed to represent the developments and growth of the organization. The redesigned site reflects the company’s growth in the last 6 years. We used CMS based site to make quick changes to data” he added. What is perhaps the most new feature of the site is its ‘Clients’ section, where one can find the customer testimonials which speak about the marketing expertise of Marvist WebSolutions. The ‘Resource Centre’ offers visitors access to a vast source of insights and expertise on various topics such as Search Engine Marketing, Online Marketing, Website Management and Small Business Management created by team of industry experts. The new website has a detailed section on careers. 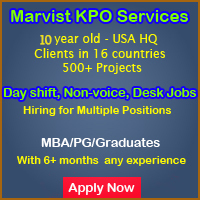 It is very helpful for the candidates who want to be part of Marvist. Marvist WebSolutions is a division of Marvist Consulting Pvt. Ltd. that offers Internet Marketing Consulting Services to its clients. The services offered by Marvist WebSolutions are in the fields of Web Marketing Strategy and Consulting, Search Engine Optimization, Website Promotion and Pay Per Click. Marvist WebSolutions is a rapidly growing offshore internet marketing and Marketing Research Company based out of Hyderabad, India. It serves clients worldwide. The company started its operations in April 2005 and offers strategic consulting as well as tactical marketing services through offshore model. ← Why are Online Electronics Purchases Becoming Popular?